In her book "The Chelsea Piers Fitness Solution," author Elena Rover offers a quiz to you help you identify your "fitness personality." Which type of sport or activity best suits you? Take Rover's quiz, below, to find out. Click here to learn more about your "fitness personality"
Which letter answer did you choose two or more times? Sports fit into all these categories. You can do an individual activity such as swimming, pick a sport that includes someone else such as tennis, sign up for a small group activity such as golf, or join a team, as in hockey. Many athletes love to feel like part of a team. They want the camaraderie on the field as well as going out for a beer after practice. It's fun to fit into a group, feeling appreciated for your contribution to the overall performance. A team is a ready-made group of new friends who share at least one interest. For others, the team dynamics are too political and complicated; they'd rather go at their own pace or compete against their own best records. Note, however, that a solo type who is also competitive may be happiest as the star player on a team. Keep this tip in mind when you use the sport selection chart. Making the choice of solo versus group sports also may be a question of logistics. Are you better at self-motivation, getting into your shorts and shoes when it suits you and heading out on your bike? Or would it help you get going to know that a whole group of people are counting on you to show up to play soccer? If your answers are spread between the choices, try a sport with options. For example, many individual sports such as cycling can be done alone, with a friend, or in a group. Your answers to the questions in this section could vary a lot. But if one letter came up two or three times, that's a good start in isolating the driving force behind how you like to spend your time. The categories aren't mutually exclusive—you can love both speed and adventure, for example. Perhaps one edges the other out just a bit in importance. Put that category first when picking your sports, but take a look at the other choices that made your list. For example, Lorie Parch, a 41-year-old writer in Scottsdale, Arizona, picked A three times and C twice. Lorie does love to become proficient in the sports she chooses, but she would get bored if there were not also an element of challenge and new skills to learn. She loves yoga, which she is adept at, but she stays engaged because there are always new poses to master, some of which are quite hard for her. It may seem that all sports are competitive, but some are much more so than others. According to the Merriam Webster Dictionary, a sport is: "physical activity engaged in for pleasure" and the synonym is "fun." If scoring goals (or failing to score) is not your idea of fun, then a competitive sport is not for you. On the other hand, if you need a metric of success, then you can choose between sports that encourage you to beat your own personal best, such as trail running, or the ones in which you either win or lose based on the score, such as tennis. 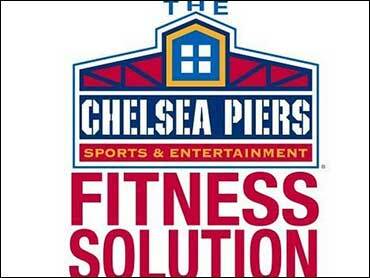 You'll find a chart with a complete list of sports that fit your personality in Elena Rover's book, "The Chelsea Piers Fitness Solution."